For most children, Christmas is their most anticipated season. It is the time of the year when they don’t think about the rest of the days to come including daycare responsibilities, but just simply enjoy the festive vibes this season has brought. There are many other holidays to look forward to, but Christmas is different and most loved by children. Perhaps, they are now writing and sending letters to Santa Claus, wishing for one magical morning when toys and gifts appear right at their doorstep. 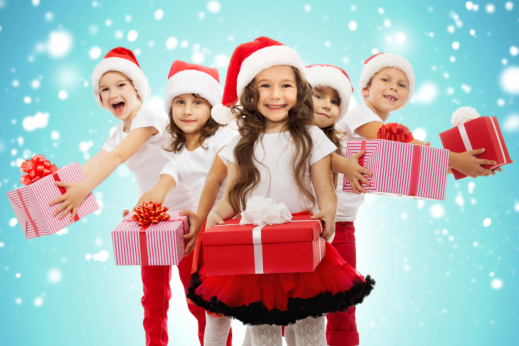 Christmas provides children with immense recreation and exhilaration. It gives them joy to see homes with Christmas trees, Christmas lights glistening through the window, snowflakes coming from the rooftop. It is also the time when children want to realize what they learned from Childcare in Louisiana and express their creativity whether by making DIY greeting cards, handmade gifts, etc. With their excitement, they mostly cannot resist singing “Jingle Bells” or “Rudolph the Red-Nosed Reindeer” around the home all the time! Furthermore, family time makes the holiday season truly magical for them. At Creative Minds Preschool of Youngsville, a Preschool in Youngsville, Louisiana, we value family time. By far, the most meaningful Christmastime for children is the time they spend on their families. Whether they are wrapping gifts together, cooking, watching Christmas movies, or just simply enjoying a hot chocolate while sharing stories near the winter furnace. Besides the Christmas spirit and family bonding, of course – the food! Children love food. It is a wonderful time to gather around the table and share the home-cooked meal. But no matter how you plan to spend Christmas with children, it is the family time that matters to them more than anything. Be sure to savor the moment. This entry was posted in Christmas Season and tagged children, Christmas spirit, handmade gifts. Bookmark the permalink.